Celebrating 28 years Kiss’s Auto Body and Frame Shop is YOUR source for Corvette Restorations, Classic Car Repairs and Restorations, Frame Work, Body Shop, and More! 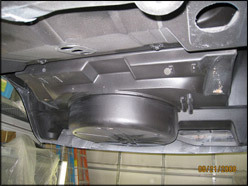 Call us today for an estimate at 612.590.KISS (5477). 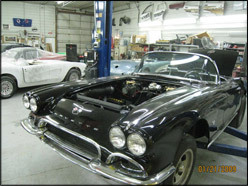 This is a gallery of a Classic 1962 Corvette restoration by Kiss's Auto Body. This gallery includes many photos of the car before, during the restoration, and after complete. We have been restoring classic cars since 1981 and have the experience to ensure that your job is done right. We take ultimate care to make sure that every detail is painstakingly restored to it's original beauty. 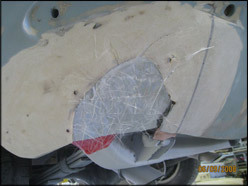 Remember Kiss's Auto Body for your Chevy Impala Restoration! ©2008 Kiss Auto Body - Website by Plasticprinters.com - Your source for Plastic Business Cards!